I’ve been messing around with my terminal display, trying to church it up a little. I tried Powerline, but didn’t have great luck with it. So, I’m going old school and just adjusting conf files for the applications that I use all the time, mainly tmux and vim. I’ve been banging my head against tmux all day. 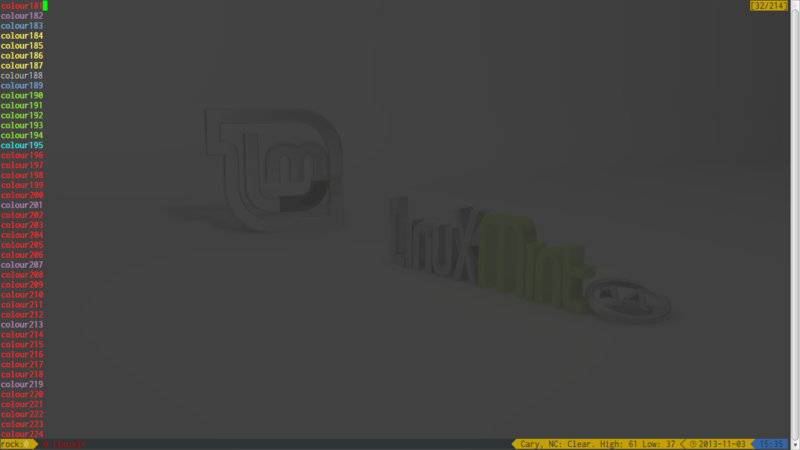 I added some flashy stuff to the tmux statusline, but I just could NOT get the colors right. I know that there are lots of settings and tweaks for getting 256 color support right, but no matter what I did, I couldn’t get tmux to display properly. which forces tmux to run with 256 color support. Problem solved, and my badass statusline is working perfectly. 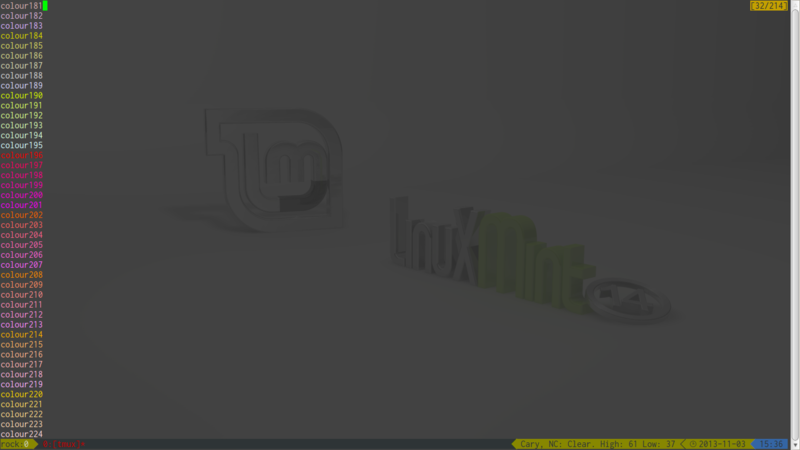 Tmux started normally, displaying a limited color pallette. Tmux started with the “-2” parameter, forcing 256 color support.